Setup: You need a dart board and darts. Gameplay: This is meant for teams, but could be an individual game as well. 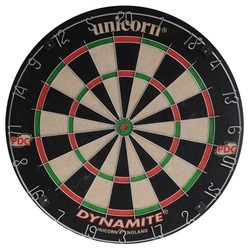 For teams, the first team to hit 3 of the 15, 16, 17, 18, 19, 20, or bullseye gets to make the other team take a shot. It is not meant to be played fast. For individual gameplay, the last person to get 3 of any of the numbers has to take a shot. This can be played faster than the team version.